Nothing at Ayers Creek Farm is unconsidered, from the wetland to the predatory birds to the varieties of pole beans. Neither are things precious—if a crop doesn't produce or too many other farms begin offering a similar product or it's too much trouble, out it goes. And that includes au courant terms like "heirloom" and "artisan" (seriously, don't bring it up), which is addressed in this essay on the cayenne pepper that Anthony and Carol Boutard have been working diligently for years to perfect to their specifications. Oregon’s Aci Sivri is a cayenne introduced from Turkey in the 1980s. The Turkish name aci sivri biber simply means a hot long (cayenne-type) pepper, rather than a specific variety. Turkey produces a lot of peppers, cayennes and sweet, about 7% of the world’s production, ranking second to China. Peppers are grown in the Mediterranean, Aegean and Black Sea regions of the country. 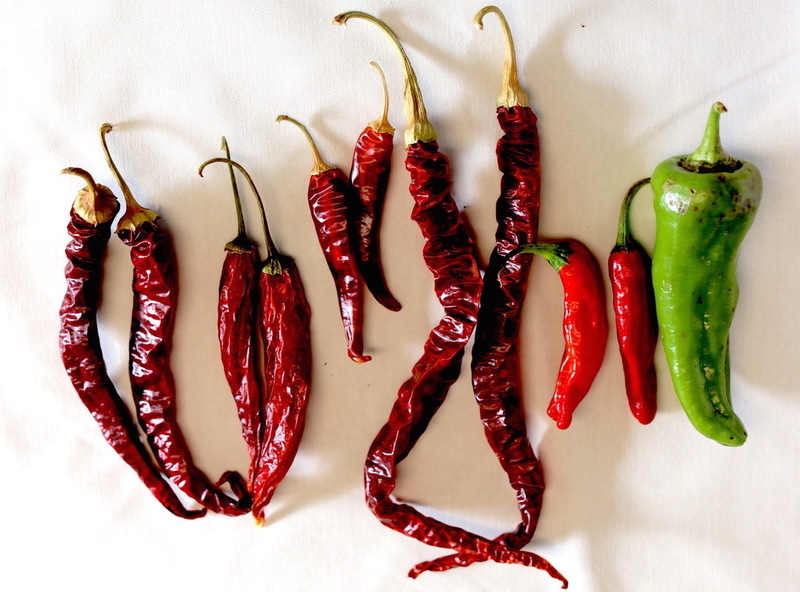 In Turkey, cayennes are used both pickled when green and dried when ripe. It is fashionable to tag the honorific “heirloom” on all manner of crop varieties, and aci sivri hasn’t been spared. As any crop grown for more than 25 years meets the definition regardless of quality, the term is well nigh meaningless. Some up the ante by describing the pepper as a "centuries old Turkish heirloom." Given the generic name and the absence of a geographic link, that embellishment is a stretch. As a result of the Turkish diaspora, people of Turkish descent live in Spain, Italy, Germany, the United States and elsewhere. 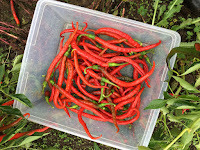 Just as an Oregonian returned with some seeds of a cayenne that impressed him from his time in Turkey, seeds travel in both directions and it is just as likely that seeds from a fine cayenne, perhaps sent by a Cornell graduate student to her family, found their way from Upstate New York to a Black Sea village in Turkey where it was welcomed. Over the past five centuries, seeds have been an international commodity, passed around by researchers and seed companies, as well as families. The idea of a crop frozen in time like an antique tea cup or souvenir spoon is a fatuous conceit. The berries of the Nightshade family, the Solanaceae, have marvelous calyxes (above left). The eggplant has a large, tough, often thorny one, the tomatillo’s papery calyx continues to grow after pollination and envelopes the fruit (below right), while the tomato has a wiry, glandular and reflexed version. The calyxes of peppers are akin to hats, varying in size and shape, and are part of the fruit’s genetic fingerprint. The calyx of Oregon’s Aci Sivri forms a distinctive hat that extends beyond and over the fruit, worn jauntily like a French beret. Very different from the long cayennes that sport a tight calyx over the ears like a flapper’s cloche, or others that have merest of beanies. Or the bell pepper with a calyx that is proportionately similar to a yarmulke. And to think, before this digression you all probably never gave a second thought to the Solanaceous calyx and all its forms. Not all peppers sold as "Aci Sivri" by seed companies or in photos posted as aci sivri biber have the beret-like calyx possessed by Oregon’s version. Many have the flapper's cloche or a beanie instead. This observation confirms our observation that aci sivri biber is not a well-defined variety, but rather a general cayenne type with a lot of diversity. For example, some catalogue entries suggest that the heat of the pepper is variable and can be very hot. 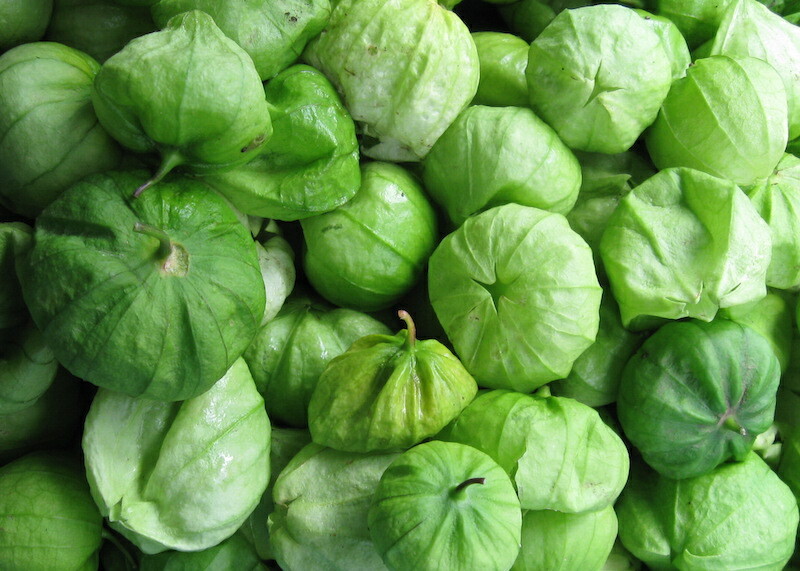 Others describe the pepper as exceeding eight inches long, or producing an astounding 50 fruits per plant. Undoubtedly, others have brought to the United States a Turkish pepper called aci sivri. The descriptions and photos suggest they are very different peppers from Oregon’s. Under its jaunty calyx, Oregon’s Aci Sivri is well-defined in terms of quality. It has a sweet flavor with a rich chocolate-like complexity. The heat is consistently gentle if the interior ribs, the placental tissue, are removed. You can be generous in its use and the whole family can enjoy its flavor. The pepper is a bit more frisky when the ribs are retained. Even then, the heat is civilized; it doesn’t slap you in the face or cause torment in its descent down the gullet. Although the Scoville scale treats the "heat" of peppers as a linear phenomenon, it is not. 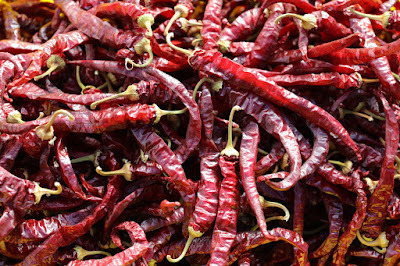 The heat comes from capsaicin and at least 10 other very similar compounds called capsaicinoids. Variations in the quantities of each of these compounds will alter the intensity and character of the heat. 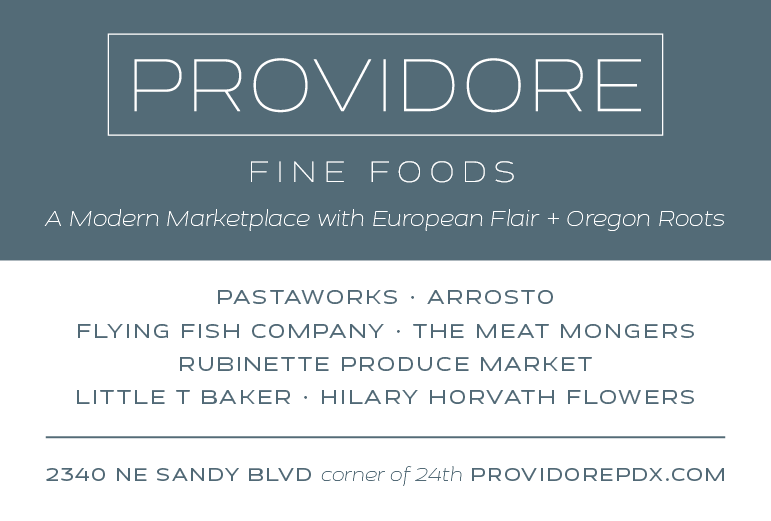 In Oregon’s Aci Sivri, the character of the capsaicinoid blend is amiable. Joe's Long cayennes in the field at Ayers Creek with their cloche-like calyxes. Unlike souvenir spoons and antique tea cups whose traits remain static through time, crops evolve and adapt to their new home. Oregon’s Aci Sivri has been here for three decades and is clearly now an American of Turkish descent. (And it is also officially an Oregon heirloom, having met the mere 25-year hurdle for that banal and meaningless honorific.) We have had a hand in shaping the pepper in our own seed production. Of particular importance for us are the plant’s architecture, early ripening and the darkest red fruits. In terms of architecture, we have been selecting for plants that hold their fruits aloft of the ground rather than having the fruits dragging about on the soil. Good posture is critical where the late summer is often wet. It means the fruits remain clean and do not rot at the tip as wet weather approaches in early autumn. Good quality peppers are more important to us than high yield, and those that ripen during the warmer days of September have better flavor. We look for plants that are modest in their productivity. In our experience, the darker fruits have a more complex flavor when dry. One of the advantages of being a farmer-breeder, we can be fussy and every year select ten or so perfect specimens for seed from a field of over 500 plants. The fruits for seed are the first we harvest. If we were growing the plants for seed only, we could never be as selective. And we wouldn’t be so concerned about plants that have their fruits slouch on the soil, a bit tardy or never get quite as red as the others. We could change the pepper’s name as is our wont, but Aci Sivri has a nice ring to it and we have no better idea, so we are content to add the possessive modifier and leave it at that. There is a wonderful moment in one of Chekhov’s short stories where an officer greets his lover after a few drinks with his colleagues. She savors the warm bite of the pertsovka—pepper vodka—as he greets her with a kiss. When we first tasted Oregon’s Aci Sivri, the scene came to mind immediately and made sense. In the story, the pepper was amorous not aggressive. Hvorostovsky not Putin. Anthony sat down in Powell’s one day determined to find that short story. He was soon stymied by the sheer volume of Chekhov's short stories, compounded by the multitude of collections and translations; after an hour, he left cross-eyed. Upon reflection, it is better to retain the memory of the gentle bite of a pertsovka-infused kiss without a plot’s unnecessary complications or disappointments. Read more on the controversy over the heirloom label.